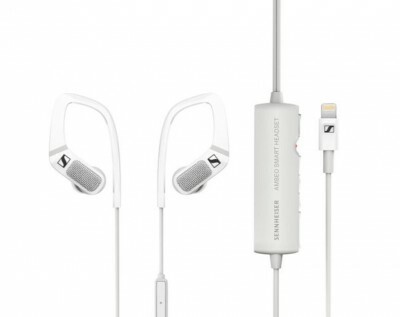 The Sennheiser Ambeo Smart Headset is the world’s first intuitive, compact, and mobile 3D sound recording headset. This headset has many great features but the standout feature is that they are fitted with omnidirectional microphones that capture the sounds in your environment just like your ears would. These high-quality microphones let the person wearing them create videos in stunning 3D sound on an iOS device. When the person is recording video or audio, they are recording sounds just the way you would normally hear the sounds naturally, or binaurally. When a person reproduces the video via any pair of stereo headphones, they will effectively hear the sounds coming in exactly the same direction as at the time of the recording. This is brilliant as it provides a 360 degree realistic, 3D recording which adds so much more to your overall listening experience. You basically feel like you are actually there and that you are listening live. I found the Ambeo Smart Headset easy to use. They have a Smart Slider that you can adjust the mic sensitivity to normal or loud. This results in a fantastic three-dimensional and immersive sound experience, which can be enjoyed with any headphones on any stereo-capable device. The Ambeo Smart Headset also possesses Situational Awareness. This means you can either make the outside noise fade into your personal program, which lets you stay safe when you are on the street, or you can deploy the active noise cancellation, blocking out your acoustic environment to enjoy your music undisturbed. Situational Awareness also works when you are recording or making a call and can be turned off if wanted. 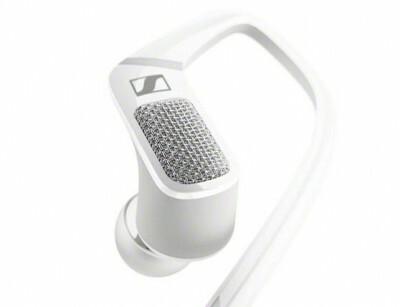 Aside from its unique 3D audio recording capabilities, the headset, like you would expect from all Senhenheiser headsets, is also a high-quality pair of in-ear headphones. This headset is also very comfortable to wear thanks to a special ear hook design.